We’d love your help. Let us know what’s wrong with this preview of BK Commentary Wisdom by John F. Walvoord. In the poetry of the Bible’s wisdom books, we see God’s love and provision in unique ways. God’s answers to Job’s suffering. A vision for Christ and the Church in Song of Songs. A search for meaning in Ecclesiastes. The timeless words of Proverbs. The laments and praises of Psalms that have comforted and inspired generations. This extensive commentary on Scripture’s five books of wisdom includes detailed bibliographies, insight into the original language, and guidance on how the truths of these ancient books apply to our lives today. 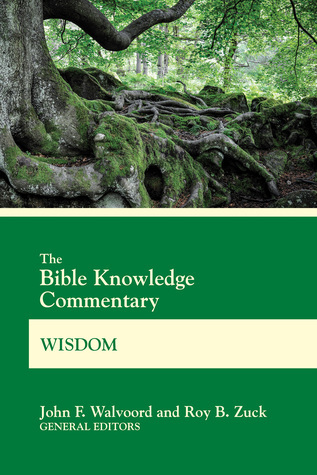 To ask other readers questions about BK Commentary Wisdom, please sign up.